SKU: ECU:54.217.S63BI.4M. Category: S 63 AMG BiTurbo 4-MATIC. 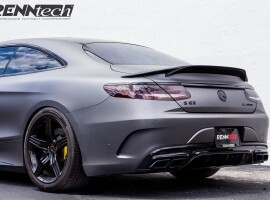 RENNtech M157 Biturbo ECU Upgrades are TÜV approved! 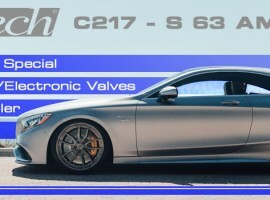 Our intermediate level ECU upgrade for the Mercedes M157 engine still offers huge gains in performance across the entire RPM range, but with a slightly reduced peak HP and torque from our standard tune. 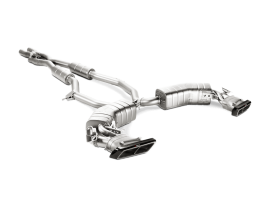 This is ideal for customers who want increased performance in their daily driver without worry of extra strain on driveline components or for areas and countries with extreme altitudes, temperatures or fuel quality concerns. Our intermediate ECU tune increases performance from 556 HP and 550 lb/ft torque to 638 HP and 695 lb/ft at the crank! 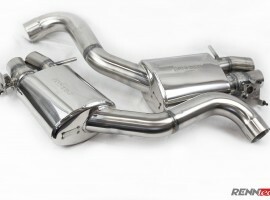 This is a slight reduction from our standard tune but still offers white knuckle performance at one of the most affordable price points in the tuning market. Note: We have found the new M157 engine stock performance numbers vary from the baseline figures claimed by Mercedes Benz. We typically see slightly higher baseline numbers than claimed by the factory.